​Congratulations to Ms. Wright and her teams who have qualified for BT Young Scientist & Technology Exhibition. Group 1: Thumbs Up. A Scientific Investigation into texting style and its relationship worth finger strength,and frequency in localisied pain. Group 3: Should All Teens Switch To Black and White Screens? 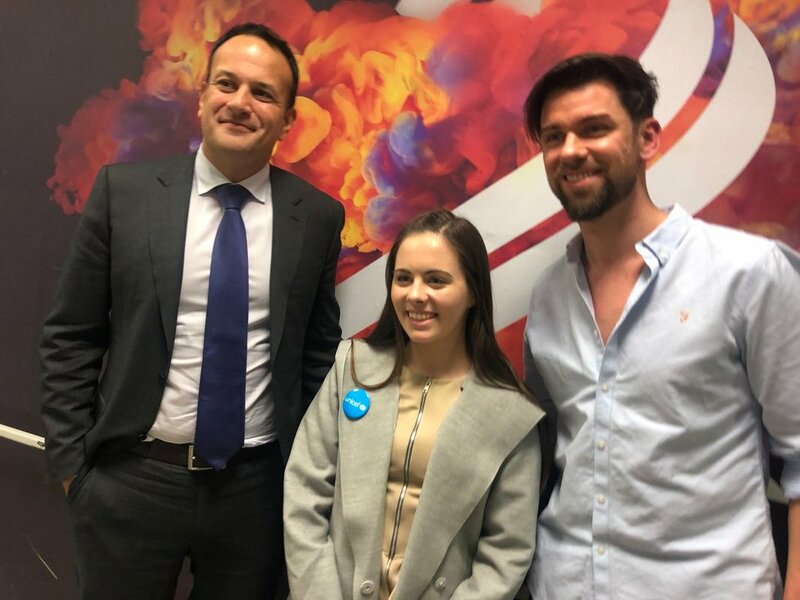 Congratulations to Transition Year student Aoife Murphy who won the Taoiseach #KidsTakeOver competition. 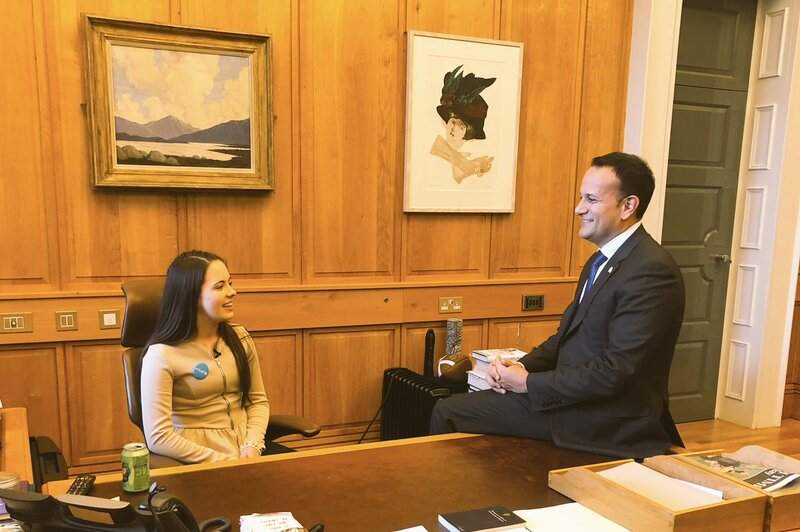 She was chosen and was invited to participate in a #KidsTakeOver the Taoiseach’s office on the Monday 19th of November 2018. 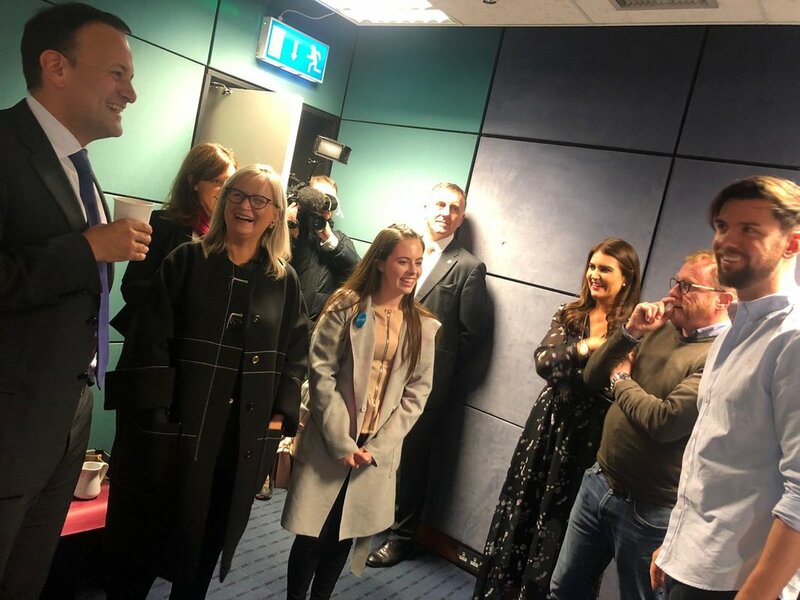 ​She shadowed Taoiseach Leo Varadkar for the day! Congratulations to our Transition Year Saffron Science team: Emma Jane Mc Keon, Alannah O’Reilly, Crea Shine, Megan Carroll, Lia Mc Namara and Kayleigh Flood who are this year’s Saffron Science Competition winners! 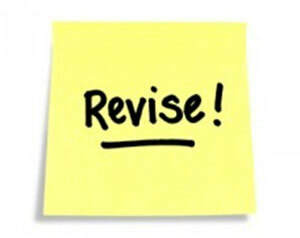 A huge thanks to their Leaving Cert mentors: Carmel Byrne, Clodagh Kelly, Eva O’Byrne and Cliona Ball, who guided and assisted the team in the production of the winning video entry. More photos on our Facebook page and App Gallery. 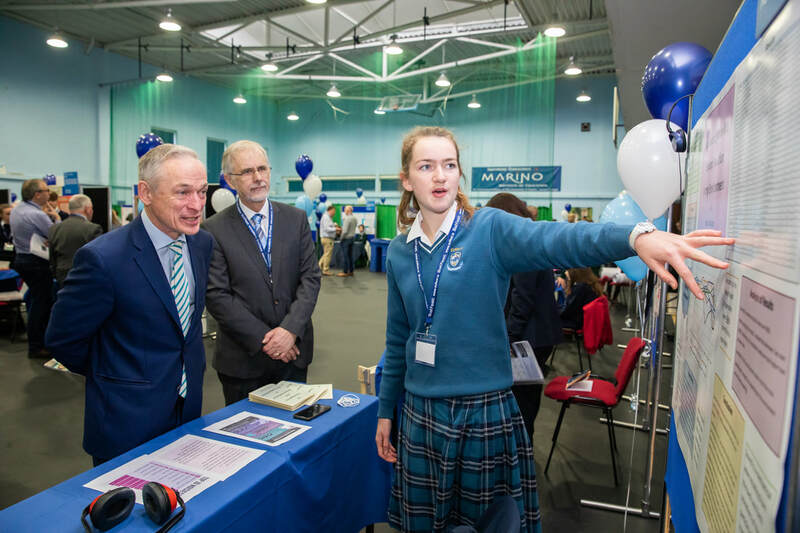 Congratulations to Róisín Murtagh who was a Broadcom MASTERS Finalist from DkIT where she won the ISTA Award. TY students were invited to visit Áras an Uachtaráin on Thursday 20th September, to view the presentation of Credentials by new Ambassadors to Ireland. They also met President Michael D Higgins and received a guided tour of the state rooms within Áras an Uachtaráin and were offered light refreshments in the state dining room. Teacher: Ms. McGuinness & Damien English, Minister of State for Housing and Urban Development. Congratulations and well done to ALL our Junior Certificate students. Some of the top scoring students are pictured here with the Principal. Katie Conachy, EmmaJane McKeon, Crea Shine and Eimear Sherwin. Well done to ALL.